Will the Sun's magnetic activity disrupt electronics on Earth? I recently came across a claim that the earth's geomagnetism will change and all the electronics devices will be disrupted due to the Sun's magnetic pole change, as described in this video. Additionally, the claim is that all electronics on earth will no longer function correctly because of this. Modern society depends on a variety of technologies susceptible to the extremes of space weather. Strong electrical currents driven along the Earth’s surface during auroral events disrupt electric power grids and contribute to the corrosion of oil and gas pipelines. Changes in the ionosphere during geomagnetic storms interfere with high-frequency radio communications and Global Positioning System (GPS) navigation. During polar cap absorption events caused by solar protons, radio communications can be compromised for commercial airliners on transpolar crossing routes. 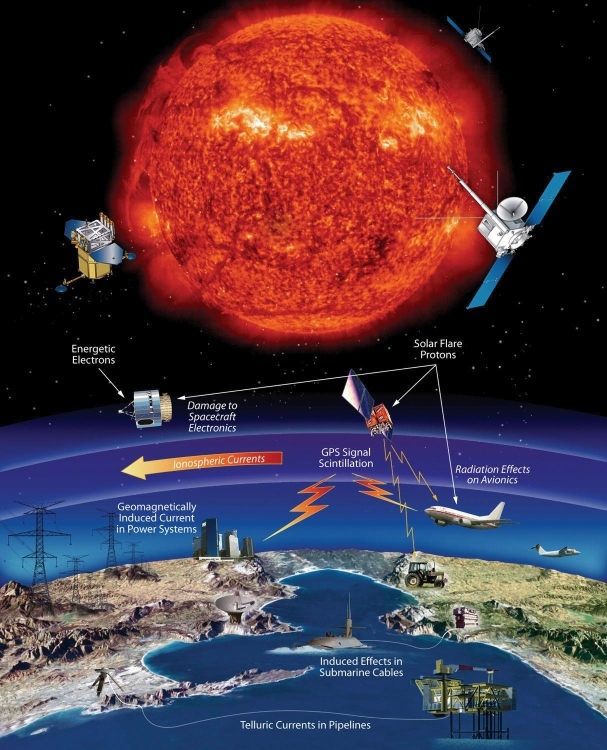 Exposure of spacecraft to energetic particles during solar energetic particle events and radiation belt enhancements cause temporary operational anomalies, damage critical electronics, degrade solar arrays, and blind optical systems such as imagers and star trackers. Human and robotic explorers across the solar system are also affected by solar activity. Research has shown, in a worst-case scenario, astronauts exposed to solar particle radiation can reach their permissible exposure limits within hours of the onset of an event. 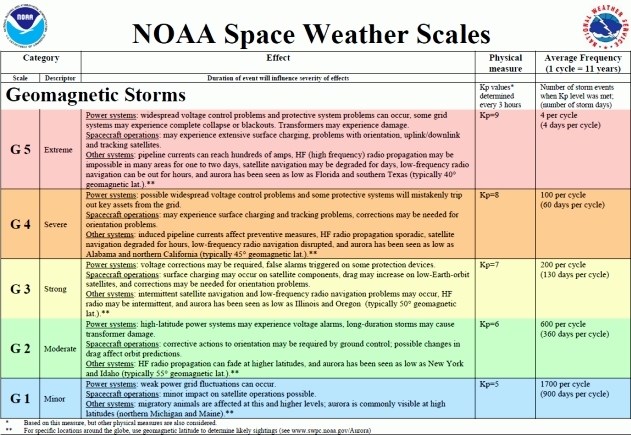 Surface- to-orbit and surface-to-surface communications are sensitive to space weather storms. It peaked as a G-3 level storm. Approximately every 11 years the magnetic field on the sun reverses completely – the north magnetic pole switches to south, and vice versa. A: Solar activity has a regular cycle, with peaks approximately every 11 years. Near these activity peaks, solar flares can cause some interruption of satellite communications, although engineers are learning how to build electronics that are protected against most solar storms. But there is no special risk associated with 2012. 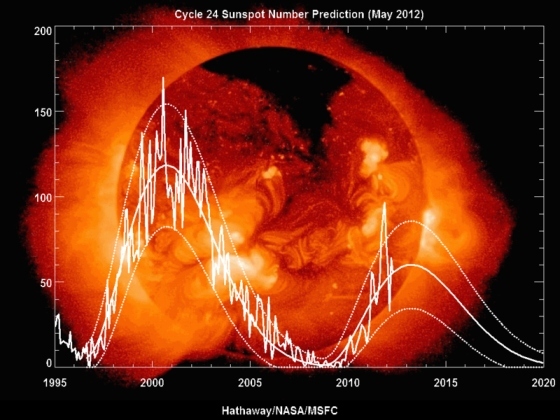 The next solar maximum will occur in the 2012-2014 time frame and is predicted to be an average solar cycle, no different than previous cycles throughout history. The strongest geomagnetic storm on record is the Carrington Event of August-September 1859, named after British astronomer Richard Carrington. "A contemporary repetition of the Carrington Event would cause … extensive social and economic disruptions," a NASA-funded study by the National Academy of Sciences entitled Severe Space Weather Events—Understanding Societal and Economic Impacts warns. Power outages would be accompanied by radio blackouts and satellite malfunctions; telecommunications, GPS navigation, banking and finance, and transportation would all be affected. Some problems would correct themselves with the fading of the storm: radio and GPS transmissions could come back online fairly quickly. Other problems would be lasting: a burnt-out multi-ton transformer, for instance, can take weeks or months to repair. The total economic impact in the first year alone could reach $2 trillion, some 20 times greater than the costs of a Hurricane Katrina. In March 1989, a solar storm much less intense than the perfect space storm of 1859 caused the Hydro-Quebec (Canada) power grid to go down for over nine hours, and the resulting damages and loss in revenue were estimated to be in the hundreds of millions of dollars. National Geographic - What If Biggest Known Sun Storm Hit Today? Not the answer you're looking for? Browse other questions tagged physics electromagnetism astronomy . 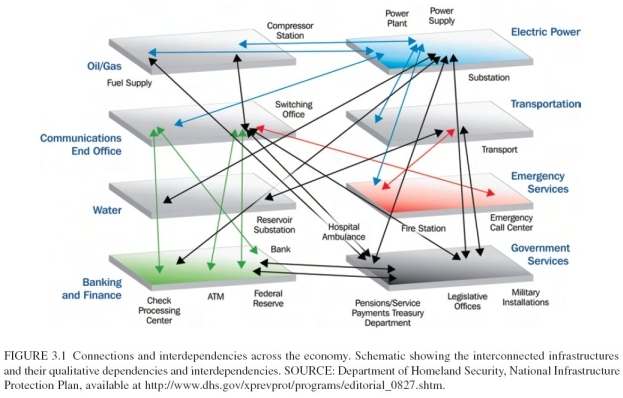 Are electronic power consumption “smart meters” an invasion of privacy? If gas expands then how are stars formed from collapse of gas and dust? Can magnetic resonance through TV and cell phones control your mind and emotions? Are two layers better at insulating body heat than one double-thickness layer?